Have you ever read someone’s blog or Facebook post, or perhaps even a short tweet, and thought it good enough to share? Please follow through on that thought. We appreciate it. But please do it in a way that encourages. How might it not encourage? Read on. 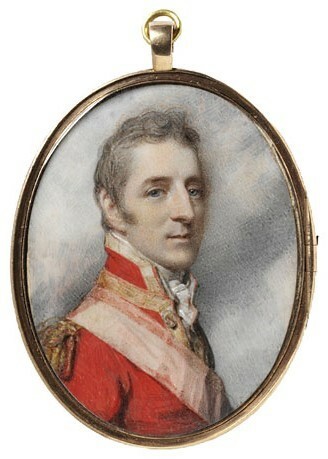 Jane Austen labeled her work “the little bit (two inches wide) of ivory on which I work with so fine a brush, as produces little effect after much labour” in a letter to her nephew Edward. (Letter of December 16, 1816.) Ivory miniatures were actually held in high regard in Austen’s day. Her ivory comment in comparison to her nephew’s work no doubt encouraged him, but I think it goes beyond that. She recognized the value of his writing even if he had not (and never might) match her abilities and successes. In the Internet age, a blogging Jane Austen probably would have invited Edward to write a guest post for her site. Jane Austen knew people shouldn’t steal other people’s writings. That’s why she joked around with her nephew about it. She also knew writers should encourage each other, as she proceeded to do with her nephew. I hope to encourage writers, too, whether bloggers who write for themselves and a small audience or published authors who have tens of thousands of readers. More than one person has seen one of my short posts on Facebook or Twitter and thought I was passing along something I must have seen somewhere else and merely reproduced on my feed, and then they do the same. I’m both flattered that they think what I wrote worthy of sharing and nonplussed that they think I wasn’t talented or original enough to write it myself. The general rule is: if I put it on my blog, Facebook page or Twitter feed, I wrote it. If I am quoting someone, I use quotes and cite the person. If I am relaying another person’s idea, I credit them. If no one is credited with something in a post, then I hope readers assume the words are my own and treat them accordingly. Blame me if you don’t like them, appreciate my efforts if you do, and credit me either way. Sometimes I write short posts on Facebook or Twitter that I put a lot of effort into. I think that’s something people might miss. They see a one-liner and think it’s written off the top of my head and took almost no effort to create. No, I spend time drafting those, reworking the words and structure to make them sound just the way I want them to. But even if they were effortless, they are still my words and not someone else’s. And as the letter from Austen to her nephew suggests, stealing someone else’s words is not encouraging. In fact, it’s discouraging. I’ve experienced this discouragement firsthand. The first time I noticed a comment about stealing a post on someone else’s Facebook page, I thought it was just another way of showing how much the reader liked the original post. I soon saw it in a response to one of my earliest posts years ago, too. I went to the commenter’s page to see if they shared my post. They had, but no mention of me appeared. Happily, this has not happened recently. Usually when I ask someone to correct the oversight they are more than willing to do so and to give me credit for the writing. I truly appreciate those readers and sharers. They encourage me. You’d think no one would commandeer a whole blog post, though, and most certainly they wouldn’t try to pass it off as their own, right? They copy and paste the whole blog post onto their site. I then have to ask the person to remove the post from their page, which is awkward. The response has never gone well. I’ve been told that everything I write is fair game because: a) I’m a Christian and they’re a Christian and it’s all for God so they don’t need my permission to use it, or b) once I put something on the Internet it’s public domain and they can use it without my permission. Don’t get me wrong. I am grateful when people share some little thing I wrote. Thank you. Quoting a portion with a link to the whole on my site is wonderful. But if someone appropriates my writing I ask them to rectify it. Why? Because I wrote it. If someone wants to express themselves, they can write their own words. If they want to use my words as part of their expression, the time-honored method of using quotation marks works quite well. To paraphrase my words above: if quoting me or anyone else, use quotes and cite the person; if relaying another person’s idea, credit that person. There’s another reason I ask people not to appropriate my writing as their own, and this may be even more important. If I wrote something, I want to be responsible for it – good or bad, the writing is mine to defend or to rectify. That is a responsibility I have to my readers, and even more a responsibility I have to God. I can’t do that if someone puts my entire post on their site without my permission (with or without attribution). All I ask is that you help me carry out my responsibility. Thanks. That’s encouraging. This entry was posted in Uncategorized and tagged Bits of Ivory, blogging, Duke of Wellington, Facebook, Jane Austen, plagiarism, Twitter. Bookmark the permalink. A church leader privately shared that they never hire “Christian” contractors from church because too many of them feel that since it’s all in the family, they can do a half-baked job and charge double since it is “all in the family”. Of course, it can also work the other way with “Christian” customers not paying “Christian” contractors for work done because it is “all in the family”. Moreover, real “Christians” would just go along with it and never take anything to – secular – court. That’s an interesting dilemma the church leader faced. I saw the opposite in the church we attended where a lot of construction went on. Members who were contractors did extremely good work and were paid fairly for it. Which is the way church culture should work. Bravo. Good show. This is good, Tim — and I loved the Jane Austen quote. Yes, just imagine her on the internet in 2019. Accurate crediting of people’s writing and other work should be a given; it’s sad to see when it is not. Before Christmas I saw this long Twitter thread consisting of about 20 photos of stormtrooper action figures setting up a Christmas tree. It was so good! Dozens of people (including me) shared the thread and left complimentary comments. But as it turns out the tweeter got the photos off Facebook; someone else had created this photo thread years earlier. He tweeted every photo individually without ever adding a disclaimer that he wasn’t the originator — and every time people replied with comments like “This is great” or “You’re awesome” he thanked them, again without acknowledging it was not his work. Finally when someone confronted him he said “I never tried to pretend it was mine” or “People get stuff off Facebook all the time.” He didn’t seem to have malicious intent, but it left me shaking my head and wondering how he could fail to see the misleading impression he was giving. It’s inexplicable. If readers or viewers give the impression they think the work is original, it’s the poster’s responsibility to set them straight. I’ve had it happen even when I’ve clearly cited (and linked!) to the original source. Someone who instead chooses not to cite and not to correct misimpressions might be beyond hoping this post will help them. I’ve had more than one writing/blogging friend say that certain (ahem) Christian websites have posted work of theirs without any attribution whatsoever. Cyber stealing is so darned easy. Thanks, Jody. One site I’ve been “featured” on has the practice of cutting and pasting the first half of my post. They always cut it off at a natural stopping point so you can’t tell there’s more to read. Besides, half a post is way more than necessary to point someone to my blog. Quote a brief excerpt, provide a link, and let the readers come to my place to interact in the comments, please.